Kristina Barney has attended Gateway since 1993. Barney never tires of drawing distinctive images of houses, trains, flowers, and animals, with her trademark rainbow sky. 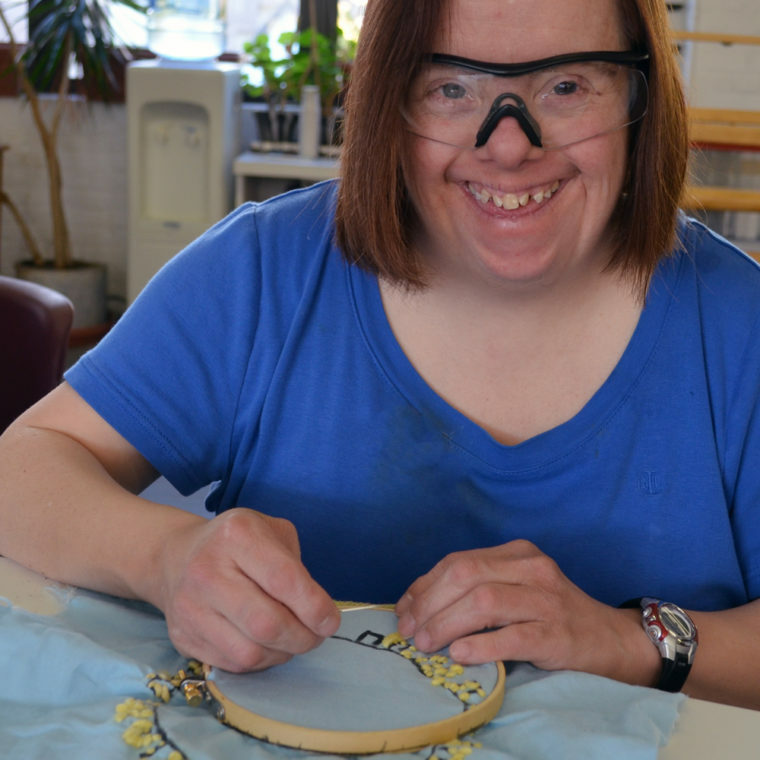 Barney also works with fabric and ceramics; she is a jeweler, weaver, and an actress. Barney has shown her work throughout Massachusetts, New York, Pennsylvania and England. Her work has been exhibited at the Arnheim Gallery, the Children’s Museum, in Boston, the Zeitgeist Gallery in Cambridge, the Outsider Art Fair and the Margaret Bodell Gallery, in New York, and the Goldhaber-Fend Fine Arts Center Gallery in Johnstown, Pennsylvania.Barney has also received an award for art excellence from the Edensburg Center in Pennsylvania and MENCAP in London, England.